In all, the central bank will sell treasury bills worth N907.880 billion this quarter. A breakdown of the debt instrument showed that while a total of 91-day bills valued at N50.977 billion would be auctioned; N178.843 billion of 182-day bills, a total of N678.059 billion of 364-day instrument would be auction in the said period. 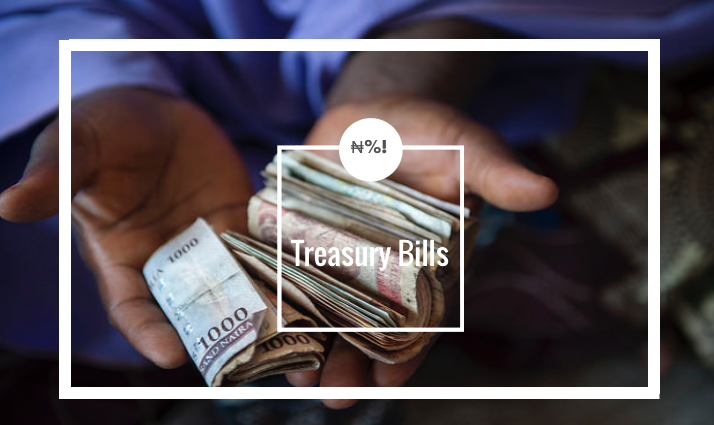 On the other hand, maturing treasury bills worth N823.46 billion are expected to be rolled over in the review period. The issuance calendar indicates that a total of N225.449 billion would be maturing next week Thursday. Be the first to comment on "CBN to Auction N908bn Treasury Bills in Q1"